In an effort to get the European Commission to adopt a clearer definition of “life-cycle characteristics”, ClientEarth, a non-profit environmental law organisation, has released a document outlining what life-cycle characteristics are, and the role they play in aiding procurers to make an informed choice. Greater clarity will allow contracting authorities to evaluate more fully whether a product or a service contributes to their strategic objectives, such as enhancing sustainability, as well as their functional needs. ‘Life-cycle characteristics’ expresses the idea that characteristics can result from social and environmental impacts that arise during the production phase or at disposal of a product, even if you cannot see them in the product itself. The examples of a nurse’s uniform made by an adult and one by a child, and a table made out of wood from a sustainably managed forest and one sourced from a forest that will never be replanted are given by ClientEarth to illustrate that some characteristics are unseen, yet greatly change the sustainability of a product. The current Directive on the coordination of procedures for the award of public works contracts, public supply contracts and public service contracts should be amended so that unseen characteristics in products are on an equal footing with those that are apparent, argues the organisation. The Commission had already defined the term ‘life cycle', but its definition focuses heavily on impacts at the production phase, whereas 'life-cycle characteristics' takes into account data at all stages of the life cycle and is therefore preferable. 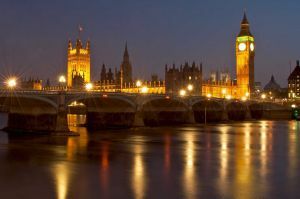 A new international initiative to fast track a global transition to a green economy by harnessing the power of government and local authority spending was announced at Rio+20 last week by the UN Environment Programme (UNEP) and partners. Supported by over 30 governments and institutions, the International Sustainable Public Procurement Initiative aims to scale-up the level of public spending on goods and services that provide environmental and social benefits. Across the OECD countries, public procurement represents close to 20 percent of GDP (over 4,733 USD billion annually), while in developing countries the proportion is slightly higher. Studies indicate that sustainable public procurement, which represents between 15 and 25 percent of GDP, offers a tremendous opportunity for green innovation and sustainability. Examples from around the world show that sustainable public procurement has the potential to transform markets, boost the competitiveness of Eco-industries, save money, conserve natural resources and foster job creation. The new SPP initiative seeks to back the worldwide implementation of sustainable public procurement by promoting a better understanding of its potential benefits and impacts and facilitating increased cooperation between key stakeholders. 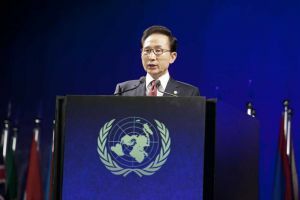 The Republic of Korea presented its green growth policies and experiences at the Rio+20 UN Conference on Sustainable Development this week, placing particular emphasis on the country’s green procurement programme. The programme, introduced in 2004, compels government agencies and public organisations to buy green products. The Green procurement law in Korea targets 33,000 government agencies, and has proven to be extremely successful. The programme also promotes the use of eco-labels as a means to increase the level of green procurement among private organisations. The Ministry of Environment (MoE) is currently working closely with 30 large scale companies to improve green procurement practices. The MoE has also launched a public relations and information campaign on buying green, which includes advertisements on television, radio and online. The Rio+20 presentation from the Korean delegation was given at a high-level policy forum on the development of a framework for green economy, one of the key priorities of the Rio+20 Conference. In order to lead by example the United Nations has undertaken a concerted effort to improve the sustainability of the organisation. The UN is not only taking measures such as opting for more sustainable travel, but also utilising the purchasing power of the organisation to encourage suppliers to deliver products with a higher value, that are both resource efficient and produced under fair labour conditions. Procurement is incorporated by many UN agencies as part of their emissions reduction strategies - the High Level Committee on Management’s Procurement Network, for example, has included sustainable procurement among its strategic priorities. 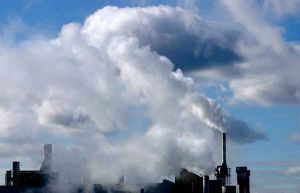 Executive Director of the United Nations Environment Programme (UNEP), Achim Steiner, has expressed his support, saying, “the impact of such green procurement policies by public bodies and governments cannot be underestimated.” A support pack has been developed to assist UN agencies in this area. The UN has also placed emphasis on enhancing the energy efficiency and climate neutrality of its buildings. 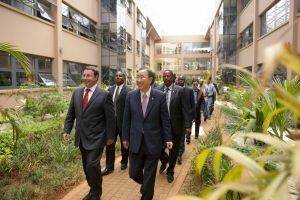 Retrofits have taken place on existing UN buildings whilst others have been built anew, such as the impressive UNEP headquarters in Nairobi (Kenya). UNEP’s Regional Office for North America was awarded the Gold Standard Leadership in Energy and Environmental Design certification, thanks to the environmental standards it set for its new offices. 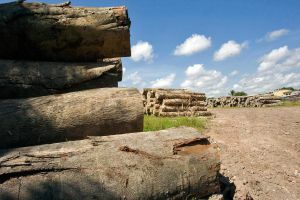 More than half of UK local authorities still don't have a legal and sustainable timber procurement policy according to a recent report by the World Wide Fund for Nature (WWF) into public sector timber. The report, titled Barking up the right tree? found that despite upcoming legislation to halt the import of illegally sourced wood products only 16 authorities are implementing policy effectively. The UK is currently the third biggest importer of products made from illegal timber in Europe, after Germany and Italy. The public sector, which includes local authorities, is thought to account for as much as 40 percent of all wood products entering the UK market and it's estimated that up to 10 percent of wood products entering the UK from outside Europe comes from illegal sources. The report also found that only half of the 433 local authorities in the country have a sustainable timber procurement plan in place. In the past two years the energy consumption of the most efficient televisions has been reduced by 50 percent, moving from class A to A++. 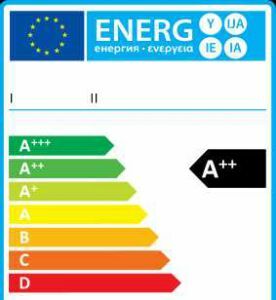 This improvement in efficiency has been prompted by the take up of the Energy Label for televisions, put into force in Europe in December of 2010 and compulsory since December 2011. Topten.eu, an online search tool which presents the best appliances in various product categories, states that the label’s “influence on the market has been tremendous”. The organisation compiled data on televisions in different energy classes over a period of 30 months. The data illustrates that the number of highly efficient television models available grows in recent months, whilst the availability of lower energy efficient models drops off over time. The conclusion reached is that a good energy label is highly effective at incentivising greater efficiency, and the results of this have a visible effect on the market. With the Energy Label for TVs, the EC has implemented an effective instrument to accelerate market transformation towards more efficient products, says Topten.